With a good-natured request let me persuade my dear, gentle reader to explore the subtleties of the title I have chosen for my attempt to try and sound the depths of sound, the audiophile's first and last preoccupation. Then let us, together, apply the many caveats of sense in arriving at some sort of an acceptable re-definition of what we have all along been trying to enjoy-- an attempt to 'can' and then reproduce an acoustic event without mutilating its 'life' in any manner. Have we been successful in doing that --at least to a large extent, though with some minimal losses, as it has to be with any imperfect scheme in this imperfect world?? The answer is moot, as any and every sensible person would admit and accept. Sound happens to be only one of the many stimuli that impinges upon man's senses, making his life more enjoyable or more miserable, depending on variables that are as uncertain as the weather or as some are fond of pointing out, as fickle as a woman's mind. So before this 20% of our sensory input (we have five senses, as has been accepted!) is examined in some detail, it would be educative to look at the larger percentage of the sensory inputs and see how they are dealt with in our day-to-day lives. Painting, before photography made the enjoyment of visual stimuli more universally accessible, reigned uncrowned, yet with its own rules in a world of its own. The entire history of the enjoyment of purely visual stimuli (for convenience, here confined to the world of painting) is without one instance of that enjoyment being the result of a measurement of chromatic or luminance values so as to meet some sort of a 'conformity' to certain arbitrary standards. History is totally silent when it comes to the question of whether the great masters insisted on somebody's knowledge of the 'science' of light and colour before he was accepted as an understudy. In painting, there are times when visual 'verisimilitude' has been given the 'go by' as the masters explored the as yet unseen 'other sides' of the visual idiom. Moving forward into the 'modern age' with its preoccupation with, and its possession of the tools of, measurement of most of the natural phenomena, we are still greeted by a lacuna when it comes to the enjoyment of the visual that depends on a set of 'measurements' of a narrow, specialized sort. The stratospheric prices that are offered for canvases of the old masters are not arrived at after a photometric or colorimetric analysis--so far as most of are aware. In the visual field the ultimate tools of judgement have remained the same --the same old pair of irreverently inaccurate (aren't they deceived by optical illusions?) eyeballs that man possesses. They had served man over the millennia as we evolved from God alone knows what primeval state to the present when, without batting an eyelid, we write out cheques totalling millions after the auctioneer slams his gavel with the loud proclamation 'Sold' -- all for a piece of canvas with vague 'impressions' created by brushstrokes and paint. It is astonishing to note that NOT ONCE has anybody felt a dire need to re-examine the 'decision' made by the pair of eyeballs in the light of more dependable and accurate instruments devised by man's ingenuity. It just doesn't make sense-- one way OR the other!! Now let us for a moment turn to the world of wines, a multi-million-pound industry. It again is a unique world of taste and smell and maybe a bit of hype. Wine tasters/blenders are some of the highest paid individuals. Their nose and their palate are fine-tuned 'instruments' of measurement. But please pause to ponder if those 'traditional instruments' have ever been upstaged by some new-fangled gizmos. No way! And what about that industtry behemoth that has the entire world by its nose--the perfumers? It is a "black art" that has not yet chosen to go the way of "pure, unalloyed and objective" measurements. The nose, with its two 'inlets' and a single cavity, reigns supreme. While on the olfactory plane, think of all those sniffer dogs that do duty alongside an array of sophisticated scanners and detectors at every airport. When it comes to results, often teh dogs are better and surer. The latest wrinkle on the nose (pun intended!) is that Japanese scientists have trained dogs to detect cancers at a very rudimentary stage--much before they come to register on our 'sophisticated' scanners. The senses have been evolving with man and his complex environment. Even when we look at periods considerably shorter than millennia, like an average person's lifetime, we could easily see that our senses evolve quickly and in a practical manner to serve a need. The increased aural acuity of a person whose visual faculty has deteriorated is a case in point. An aurally deficient person has heightened visual acuity as is evidenced from the observation of such persons. By extension, it can be surmised that millennia of evolutionary preferences have equipped us with 'sharp enough' senses to let us make "full meaning" of the plethora of stimuli that flood us every moment. While not denigrating measurement as counter-intuitive and as 'clinical', they have to be seen for what they really are. It is something like a "chicken-and-egg" situation. That a phenomenon could have a subtler aspect starts as an educated premise, and we think of a manner and methodology of identifying that with measurement. That means measurement is only an 'extension' of, and not a substitute for, the primary senses. It is only with an acceptance of that factoid that one must get into the world of sensory inputs and their validity, and the essential (yet confusing if not properly understood and deployed)aspect of measurement. What to measure, how to measure and how to correct are questions that ought to be suggested and validated by the sensory inputs primarily, and not in a 'scientific clean room' environment removed from the reality of the world of the senses. Leaving out the little-understood (and even less 'measured'!) sense of touch (which perhaps is made good use of by the visually challenged and certain sighted others), let us now move on to 'audiophilia'. Often there is a clear division here between musicians and non-musicians who are in a way equally enthused about music. I have among my friends a pianist and a bass guitarist. While listening to a recorded piece of music, it is interesting to note the observations of both. The pianist is often concerned about the general tonality and rhythm, while the bass player primarily notes the peculiar manner in which the bass lines interact with the rest of the music. A lay 'audio' enthusiast, on the other hand, notices what is often termed the 'fidelity' of the recording, and often misses the nuances of the musical techniques. But before all else, let us ask ourselves a question. Why is it that there is an undue importance accorded to measurement in sound -- that is lacking almost totally as regards the other sensory inputs? Are we justified in stressing certain aspects of the auditory stream for measurement? Is our understanding complete and 'correct'? Why don't we listen to our ears more readily, in a similar manner that we do with the other senses? By the way, what do our ears tell us? Over the millennia these funny-looking protuberances on both sides of our head have, along with our peripheral vision and our reflexes, stood us in good stead as survivors in a dangerous planet. Localization and spatial clues, as also clues about the 'character' of the venue of the acoustic event, rock-solid 'mental imaging' when everything including the source and the receiver are moving like crazy, are some of the important data that we glean from the auditory inputs. And to add to the complexity, the 'audio' ranges from a barely audible 20 Hz at one end to another barely audible 20 kHz at the other end, according to pundits. Then there are those on the lunatic fringe who claim that nothing less than 30 or 40 kHz would 'really' make music preserve its 'life'. It is comparatively easy to plan and conduct tests which could show that what the ears perceive about the spatial and other clues mentioned above would 'hold together' pretty well even when the range is limited very much. Without going into invloved arguments, it is easy to see that just as with the other senses of sight, smell and taste, the subtleties of hearing too have not been understood enough so that they could be measured 'correctly' and interpreted. The situation is not far from the classic encounter of the five blind men and an elephant. The ' part-interpretations' made by the individuals about the huge animal could very well be true from their perspective, but unfortunately the sum of the interpretations reveal at best only a caricature of the elephant. 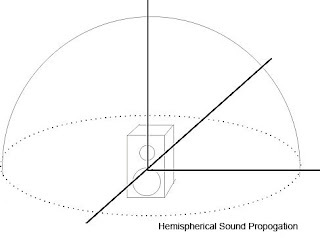 Stereophonic sound originated as an attempt to record and reproduce acoustic events using two channels (or more, as is popular practice today) in such a manner that it could mimic the original event. Has that attempt succeeded to a satisfactory level? Here permit me a slight detour, if only to answer the many 'injunctions' from the binaural brigade, by introducing the first of the sound 'tales'. Just prior to starting on a jungle trek long back, I received a few binaural recordings. I do not know how they were made, but I wish to believe that they were made with a 'dummy head mic'. I had at the time a rather good quality Sony Walkman with built-in recording mics, and promptly transcribed the binaural pieces to Ferri-Chrome cassettes using my 3-head home deck. Camping near a river, early next morning I took the Walkman, my fav pair of open headphones, with 'on-edge' transducers that radiated front and back and sat with its edge on the pinna. Sitting on a rock near the river, the surrounding echoing lightly with the gurgle of the river and birdsounds at a distance, I switched on. The recorded nature sounds, played at a moderate volume level, soon had me transported to somewhere far away. The sound was uncanny, with bees buzzing realistically and bird sounds making me look for them left and right and often behind me etc. Switching to some music tracks (sorry, only Western classical), at a slightly higher volume level, I could close my eyes and forget about the actual surroundings and immerse myself in the music and its realism. Perhaps it was as close to real as a recording has sounded to me all these years. But the illusion, though very good, suffered from one drawback-- I was getting a stiff neck from remaining motionless and tensed. A slight movement, and the image moving with me inside my head would leave me confused. It had happened earlier too with the natural sounds, when I turned to look for the bird. The effect was very good while it lasted, but all it took to undo the castle of cards erected by the auditory image was the slightes of head movements. I have no wish to take conventional stereo speakers to that wilderness setting in order to see how they would reproduce the "canned reality" in the cassettes. I am prepared to be in my average sized room, and in deference to the 'speaker brigade' I am prepared to follow their directions to the full. So the speakers are set up as per the recommendations of its designer and I am sitting down, again with a stiff neck and an upright posture, and as one of my less serious friends suggests, with the hair parted in the middle to maintain symmetry of the HRTF--that is, IF you have hair! 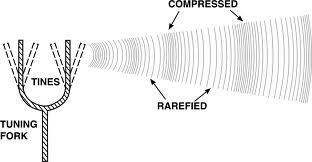 The stereo signal, when played through a 'good enough' chain of equipment, is able to re-create the "recorded reality"--but only when one's ears are precisely at the "sweet spot", a mythical 'ideal' listening position. Now for some timeless tales; timeless because experiences like these are sure to have occurred to most of the readers/listeners. I was riding home one late afternoon on my noisy motorcycle and as I rolled into our front yard, I could hear my little nephew beginning his violin lessons. The more 'serious' notes of the teacher and the 'scrapings' of the disciple were distinct. On many subsequent occasions through the later weeks, the experience recurred. I noticed that as I rode in, I could identify a few things: were the duo seated in our front hall, or were they in the smaller side room, or at times, were they in the open verandah? The clues about the 'venue' were very strong even in that rather noisy setting. The second thing I noticed was that as I walked in, and went towards the inside room, the 'clarity' of the sound improved, but its basic 'quality' remained unchanged. As I continued walking and turning corners etc, the 'image' as I perceived it, remained 'solid', continuing to reinforce my spatial and other clues. Movement only strengthened the realistic aspects rather than detracted from it. If they were in the open verandah, as I went in, the deteriortion in 'quality' was more abrupt, but the other clues, even with a considerably weaker 'signal', got stronger and confirmed their location and the nature of that location. To amuse myself I often imagine a pair of excellent stero mics capturing all the sound clues that the purists have identified and measured and 'understood'. I would feed them subsequently through a 'good enough' reproduction chain. THEN would I choose to walk in. I should be happy if the system could give me 25% of the realism that I was used to over the months; forget about the quality and the 'signature' of the venue and all that. But the moment I started walking, the whole thing would "skew", driving me nuts if I was serious about 'interpreting' what I heard. Frankly I would be more comfortable with a mono recording-reproduction chain; at least the image will not skew and confuse my brain as I moved, coming as it did from a single, stationary speaker. That should tell us one thing--two of everything do not make a thing better always! It is a simple experiment within the capabilities of any lay enthusiast. Try it and be confounded. The second of these "stereo listening position" tales, again, presents a scenario likely to be familiar to many. I am fond of visiting temples. Large temples with huge corridors and high ceilings, all usually carved from granite, have astounding acoustics. Cathedrals come close to the acoustic experience, though the temples are quite unique in their 'signature', believe me. I have often walked towards temples I hadn't visited earlier, and oftentimes have wondered at how close an 'image' of that acoustic venue could be gathered by my brain as it 'listened' to the chanting/singing that was going on inside. The moment you walk in and are in the proximity of the 'event', a veil is lifted to reveal absolute clarity. But the artefacts that had suggested to you the 'layout' of the venue and its acoustic signature a moment ago, get stronger and confirm the image, and then you IGNORE that image, including the decays, reflections etc and perhaps the Haas effect enables you to hear only what you wish to hear with a clarity and 'involvement' that has to be experienced to know it. As you walk away, again, many things shift, and the signals grow weaker, but the 'clues' remain strong as ever giving you 'solid' images. 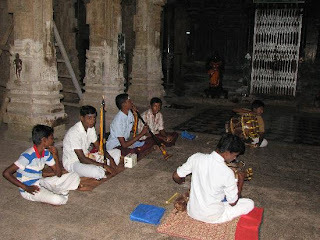 The experience is enriched when a group of musicians circumambulate the temple corridors, and from where you are standing --and listening!-- you continue to receive "updates" about the passages and corridors and the open areas through which the team passes. It sure is a complex data-flow that manages all that in real time! Is there a way to "capture" all that, or even a small part of that?? And reproduce that with a modicum of realism? What stereo deployment of mics will do duty here? What about the speakers? And what 'listening position' will be advocated? The above are acoustically extremely complex situations. 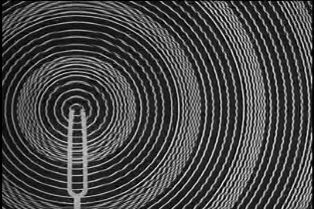 We cannot yet imagine to 'tackle' them--certainly not with our current technology and with our current "understanding" of the art and science of sound. Much less, we haven't yet learned to "capture" a non-professional duo like my nephew and his teacher sitting in a corner of the front hall of my home. What we pretend to do with what we conveniently push as a solution to all sound ills --stereo-- is at best a false caricature of the real. The ideal listening position is a myth that is there one moment and not there at another--there is no sacrosanct thing as a 'listening position', though with conventional stereo, it is a must. An understanding of what we are doing wrong, or not so right, is the first step in seeking out the proper direction. What our present technology cannot hope to do --ever-- in its present state is the one realization that can push us onto more productive pathways of exploration. 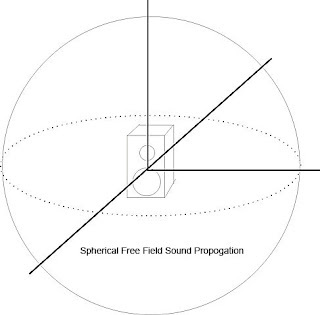 What are the aspects that need to be captured to preserve at least the chief characteristics of a real acoustic event? How to code and decode that? And, more importantly, how best to reproduce that so that the "canned reality" is reconstituted into a semblance of the original? These are serious issues that call for serious, fresh approaches. Such a thinking would make sound sense! With all due respect to, and without even a distant thought of denigrating the efforts of those stalwarts whose efforts have advanced the state of the art and science of measurement to what it is at the present, permit me to present the following. Measurement has been at the core of understanding the environment, be it the visual or the auditory, or for that matter, any other. 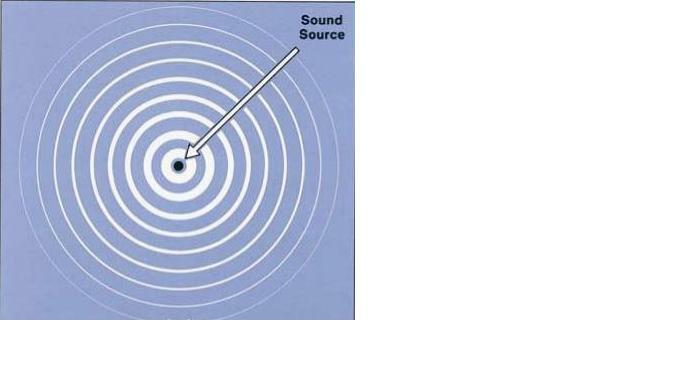 Over the decades, a fuller understanding of the acoustical environment had necessitated the use of various tools to measure acoustical events and classify their characteristics as a first step towards that aim. However, there appears to be as much disagreement as there is agreement in what to measure and how to measure. There is also the possibility of other dimensions, other parameters existing, which do not easily lend themselves to our known tools of analysis. A sane approach, it is evident, would accept that measurement and understanding is a classic "chicken and egg" situation at best. How could you measure without understanding, and how could you begin to understand without measurement? History is full of instances of inspired surmises that led to both an initial conceptual understanding and subsequent measurements that led to a finer distillation of both the original concept as well as the tools of measurement. In order to approach the concept of measurement in as dispassionate a manner as possible, particularly in a field as passionate as sound and music and its reproduction, one needs to take a second look at distant cousins of measurement. In the near past the standing joke about Relativity was that only a couple of people understood it clearly--Einstein, of course, and then God! In today's world how many people have a grasp of the dozens of dimensions beyond the third and the fourth that a respected master mind like Stephen Hawking proposes? We wouldn’t be far from the truth if we repeat that only a couple of people understand that too! That should tell us that what we hold as supreme truth appears to be so only because of our ignorance of "other truths", other dimensions. In the context, it will be interesting to look at another classic urban legend about the dozen, fifty or even hundred words (depends on your viewpoint) that the Inuits and Aleuts have for describing snow. (http://www.putlearningfirst.com/language/research/eskimo.html) English too has its share of related words--powdery snow, sleet, slush, flurry, blizzard... When we see water, our reaction could be anything from water to lake to pond to river to ocean, and then some. Our understanding of the environment calls for an ability to 'measure' and classify what is around us. The different words for snow, and water, be it in English or Inuit, is an attempt at ‘measurement’ as a way of identification, classification and understanding. A personal experience of mine from some years ago could be read in conjunction with this to explore the concept of 'measurement' from another angle. When a fishing boat belonging to a friend who owned a small fleet failed to return to harbour, a 'search and rescue' mission was launched. I, emboldened and sustained by little more than over-enthusiasm, jumped at the opportunity to join them for an all-night chase in the seas. As the small boat with a couple of outboard engines (for speed!) chugged out, I Iistened in on the hurried consultation among the crew and their skipper. They were talking about 'places' in the wide open sea the way we would mention the street corner near our home, or the big intersection near the park or maybe the turnoff in the highway. Using dead reckoning and a simple compass, they set course and we sped on for a couple of hours. I asked the (foolish) question why we were not keeping the search light switched on. The answer was a flip of the switch and a question directed at me about what I could see. With chagrin I realized that the "illuminating" light confused me by what it revealed of the endless rollers and the dark vastness of the sea. My measure of a 'logical' action did not apply here. As the night wore on, we spent hours zigging and zagging first to one 'location' and then to another. The language in which the “old salts” communicated told me nothing, but it made perfect sense to them. At long last they tried an unlikely location and we were able to "raise" the lost boat, which was drifting with a dead engine. Translate this scenario into a modern setting with all boats equipped with GPS and communication gear. The GPS gives you accurate 'measurements', and your navigational 'measurements' would zero you in on the target in a matter of time. But what had happened in the pre-GPS days was another way of more or less accurate 'measurement', which too produced results, and that too with very few inputs! From dead reckoning and a compass we have come a long way to the GPS. But that doesn’t prove that the GPS is the only form of accurate measurement. It also doesn't prove that the GPS is the ultimate. Where are we headed technologically in the post-GPS days? The great seafarer-anthropologist Thor Heyerdahl had time and again paid glowing tributes to the navigational 'measurements' of the Polynesian islanders who were total strangers to the European navigational methodologies. For arguments' sake you could say that they were "not right", but we have to admit they were and they sailed the vast oceans with more daring and confidence than many, thanks to their little-understood ways of 'measurement'. If you have come this far, you are in some agreement that measurements, in its varied guises, are at best a complex and vague (until you have mastered it, that is!) territory, though we all agree that they are central to understanding. Our interest in an acoustic event has come way beyond its primary function of relating ancient man to his environment by serving primarily as a warning signal. This was the reality of prehistory when man lived as a hunter in a variety of physical environments. Evolution has equipped man with a hearing mechanism that can present a rich data flow to his brain and give him accurate visualizations of his environment. Ever since Thomas Edison realized his dream of “canning” an acoustical event, man has been facing the dilemma of what to capture and what to throw out in order to maintain what each generation thinks is 'fidelity'. Nobody who has listened to an early recording would consider it as having any 'fidelity' whatsoever. But to the early listeners of this wonder, it sounded "life-like". Obviously the ‘measures’ were different! It would be instructive to look at what happened after Edison's little toy came into the 'market'. Comparisons were made between something newer and Edison's recording (measurement, again) and the public went after that elusive thing called 'better/higher fidelity'. This chase of the ephemeral continued until in the post-war era, when the world largely settled on 2-channel stereo as the ultimate in fidelity. 'Measurements', by now far more complex and more involved and so technical that you would need a degree in engineering to understand many, fuelled the forward march of stereo from then on. And THEN we got lost in the forest of measurements, because we lost sight of the basic fact that measurement and understanding were the chicken and the egg! Whether you are at a concert or merely walking the busy urban streets, or leisurely enjoying a walk in the wilderness, acoustical events impinge on your ears all the while. You are not merely trying to place each of the musicians from your front-row-centre vantage point. The sum-total of your acoustical experience builds and projects an image of "truth" in your mind. What are the acoustical characteristics/parameters that contribute to this? Do we understand them fully? Only when we can list out these parameters, we could think of identifying and classifying and perhaps recording and then later reproducing those parameters in an attempt at recreating the original "truth". While considering acoustic events, it would be educative to look at the non-sighted navigating our urban cityscapes. I have often observed the average blind person using a "sensing stick" that produces echoes which tell him a lot about the environment. I personally know a gifted but visually challenged person who uses nothing except an occasional snap of his fingers while “navigating” at an astounding speed through a challenging "obstacle course" in the busy city centre, which would, at such speed, in all likelihood bring to heel a normally sighted person! I have seen him dodge an obstacle at his face level at the very last moment and ducking to negotiate a walkway. This should tell you that with training, the visual correlation that auditory signals can recreate in your mind is simply awesome. When you begin to accept the complexity of what we are trying to understand with our simplistic measurements, then only you will admit the inadequacy of our tools and our primary understanding of acoustical events and the richness and complexity of their parameters. What is needed at this juncture, IMHO, is a "brand new look" at what all characterize an acoustic event and how best to measure it, so that when we come to recording and then replaying it, we could conduct some more measurements and see what all we have lost in the process, and then perhaps learn how best to regain that --and along with that, the reality and the “truth”. Listen and you will see what I mean, and for that you don’t need anything more exotic than what virtually all are fortunate to have--our ears! I trust most of you know swimming. To those who don't, water is a scary thing, while to those who do, whether they are good or indifferent swimmers, a session in the water is a larky time. When you take somebody to the water first, the thing to do is to explain what fun it can be once you learn how to float at least, and then 'teach the ropes' like how to float, then how to hold your breath, how to take those first flailings of the arms and the legs. Then slowly things fall into place and you are on your own. After that a more knowledgeable person can comment on your 'style' and give you tips to improve your style--all from 'terra firma' without getting his feet wet even. How? Because you know enough to do the basic thing well; it is now only a matter of 'polishing'--which any intelligent person could manage with the right kind of help/tips. Audio experimentation too is a lot like swimming, I guess. Quite a few of my younger friends who follow the blog were impatient with me for "not coming to the point" ASAP-- that is, as soon as possible. And in their dictionary that means 'immediately'! I resisted the temptation to succumb to such a 'short-cut' method, fearing the very real dangers inherent in such an approach. Let us, please, spend a little more time to perfect our technique before venturing deeper, so to speak. Knowing why you do what you want to do is part of the learning/knowledge process. Also, finding out why what you have done is not giving you the exact results you wished for is another step in the right direction. Everybody doing something needs tools. And some of the tools are physical; these days a lot many tools are software based; and yet others are intellectual--what you carry within your head. though that too IS another important 'balance' for us. 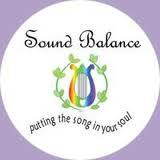 If you will go back to the previous post and review things you will see that we spoke of 'aural balance'. We have over the years somehow misled ourselves into thinking that drums = bass, and shrill sounds meant treble. Right....and wrong! If you were lucky to 'thump' a drum 'live'--any drum--and kept your ears open, you would have come to certain new conclusions. An 'easier' drum to learn the difference is the humble native 'mridangam' with its complex tonality. No musician will let you 'thump' his favourite instrument, so better request him to play a couple of bassy 'thumps'. Close your eyes and 'stretch' the sound in your mind-- at least try to. The strong bassy thump will be followed by a very complex tone structure that extends well above the usual 'bass range', you will admit. Ask him to play a few more bars and you will easily 'hear' that the mridangam has a complex sound and it extends much above the 'foundation' of the low notes. Try it with other popular drums, and even with a Western kick-drum. You will --unlike the 'thump-boom car-stereo crowd'-- hear for yourself that even the huge kick-drum produces NOT a single frequency bass note. When you talk over a phone, often you find it easy to identify the person at the other end, though the connection and the phone may not exactly be 'hi-fi'. How does this happen? The human voice is a complex mix of tones and overtones, all 'locked' to the physical nature of your 'sound-box'--your vocal cords, your throat and nasal cavity etc. 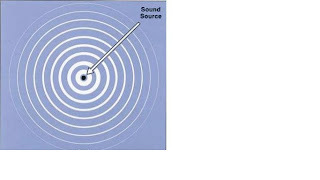 Scientists have established that you dont need a 'hi-fi' range of 20 Hz to 20,000 Hz to identify and recognize the person. Intelligibility needs an approximate range from say, 400 Hz to about 4,000 Hz, and that includes both male and female voices, virtually the entire set of voices you are likely to come across in this wide world! 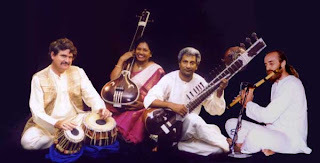 In a similar manner, the 'mix' of the basic tone and the many overtones lets you identify that, yes, "this is a mridangam", and "this is a tabla-dekka combo" and "this is a snare drum", and undoubtedly, " this is a kick-drum". Drums do NOT produce single-note thumps. So for your system to have some fidelity, it will have to preserve and reproduce that complex sound pattern in its entirety. 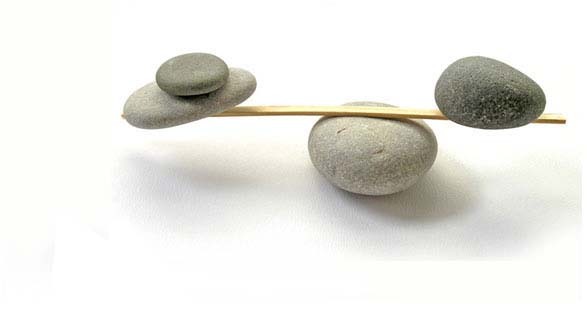 The ratio in which the low and the higher tones mix in real life is the 'balance' that we aim to preserve. If, for example, you increase the proportion of the lower notes, immediately it becomes somewhat unlike the original, and a gross imbalance can 'kill' the sound signature. 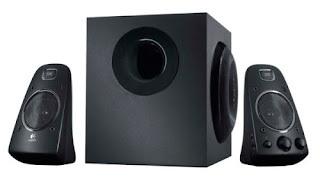 This is why we spent some time twiddling the 'level' control of your bass bin of the 2.1 speakers to approach a 'realistic' sound, a sound that compared well with the original ‘live’ sound. This is important, and you have to practice getting the 'aural balance' right--IF you are serious about fidelity. Yes, you are familiar with the term FR and you have used it often. A mini quiz for you. Pause right here and tell me clearly what it is; explain it to me as if I were a dumb/deaf ignoramus. I will let you take about three minutes. 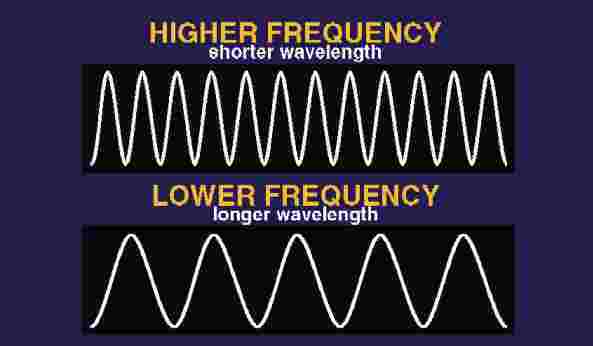 Frequency response is important because of the thing that we mentioned earlier--'aural balance'. If you look at the spec sheet of virtually any audio equipment, it would contain a figure for that, and nine out of ten, it would include that magical range 20 Hz to 20 kHz too! We will look at all those figures and split our hairs much later. 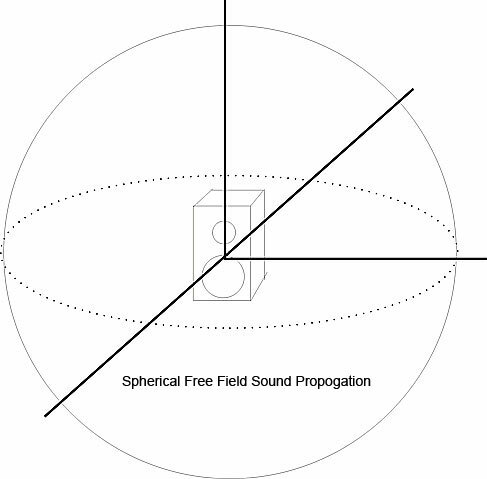 Basically FR tells you how UNIFORMLY an equipment reproduces sounds within that specified range of frequencies, from the lowest to the very highest. An amplifier, naturally, should amplify everything fed into it. But it should strive to preserve the LOUDNESS RELATIONSHIP between the various frequencies/frequency bands produced by voices and instruments. In other words, it should NOT over- or under-emphasize any frequency or tone. This is what we term that most desirable of qualities in any audio equipment--a flat frequency response, or “more correctly”, a frequency-amplitude response. 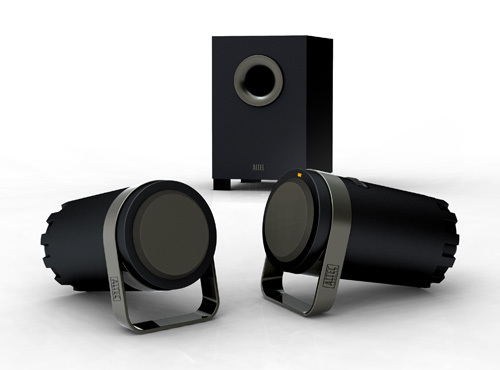 It is commonly accepted that the range we need for hi-fi reproduction is from 20 Hz to 20,000 Hz, and such a standard was originally specified by the German Standards Institution or DIN. Of course there are other 'finer details' for specifying that, into which we need not go now. But we should always remember why it is important. 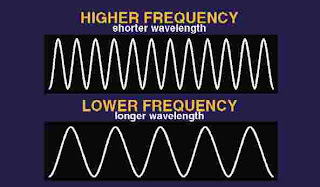 Without a flat FR, the delicate and correct 'aural balance' of the low and the higher tones would be lost or wrongly presented, and sadly, the fidelity will be lost. And just go back and remind yourself what 'fidelity' means. Our whole exercise is to 'improve' the level of fidelity that we can achieve, though it would be a virtually futile exercise to 'gun for' absolute fidelity--at least under our typical conditions. Now with those ideas clearly in your mind, go back to your listening experiments and experience. As always, keep your ears open, and your brain buzzing with activity!! Listen, and you WILL hear!!! Surely, that is NOT a plug for the Californian speaker company whose tagline is 'now hear this', and who 'wanted to save the world from bad sound', according to the founders. That, per se, is a laudable and noble aim. You may not know, nor think it a great calamity, but the world is increasingly getting mired in 'bad sound'. One man's bad sound will be another's worse sound, if not the worst. As in quite a few situations, here too you need to have some 'standards', without which all such subjective statements become no more than highly prejudiced, if not ill-informed and downright stupid, 'rants'. Hence my earnest call, "now hear this..."
That is 'live' sound, and one has to admit, that is as natural as it comes! There are companies and companies in the audio field and of course, an almost wild range of products too. But when it comes to audio designs, it is a fact that often one that is designed by an engineer who is also a musician, sounds a bit--or sometimes a lot-- 'different'. So let us hear this.....this difference. I want you to be a little bit adventurous and 'experimental’. If you are a musician, or can get a musician friend to co-operate, all the better. Otherwise, do not worry, but you might look a bit silly to other folk at home while 'experimenting'. I assume that most of you own and use computers and these days the computer can double up as a pretty good sound system, a better recorder than the typical cassette machine of yesteryears, and even as a combination test equipment like say, an audio signal generator or an oscilloscope. The possibilities are there and they are within reach of the average hobbyist or enthusiast. Now get hold of a good microphone--not the cheap one that comes with the standard ‘chat’ headphone. Buy a good compatible separate microphone that plugs into your sound card. The plug will be like your headphone plug, but one connection supplies an operating voltage to the microphone. So buy one that is compatible. Fire up the sound recorder or some other software you use for recording and try recodring with the mic so that you are familiar with the drill. Now in an average room with some peace and quiet, ask your musician friend to play his instrument. A flute can sound wonderful in almost any setting, and so can a saxophone. We are likely to have violin playing friends, and some 'mridangam' (that is a South Indian drum for accompaniment in classical concerts, dance programmes etc) artists too. Let them sit away from the walls, as far as possible, and play for a while, so that you have the sound of the instrument etched into your mind, in a way. Towards the end of this 'live' session you can put your finger into one ear, and move around closer to the instrument to discover from where and at which distance it sounds clearest. Now ask him to play for another few minutes and put your mic in the earlier-discovered position and hit 'Record'. Save the file after giving it a suitable name. If you can play and sing, or at least read a play aloud with some nuances, it will be even better. Save that file too. Next (especially for those without musical abilities!) take a few things like a toy drum, or even a plate and spoon and try banging it like you have gone nuts a little. The aim is to listen to the sound of the banging and remember how it all 'sounds'. Record a few sessions like that. Your imagination and your resourcefulness set the only limits here! (It will be an interesting exercise to record yourself also, singing or reading aloud--so that later you could 'discover' yourself.) In all the above situations make sure that as the mic is a single 'mono' mic, it is placed as close as is possible to the source so that it is immersed in the ‘direct sound’ and is not flooded by strong reflections and echoes. Your first attempt at playback of the recorded files will be a strong lesson in disappointment. 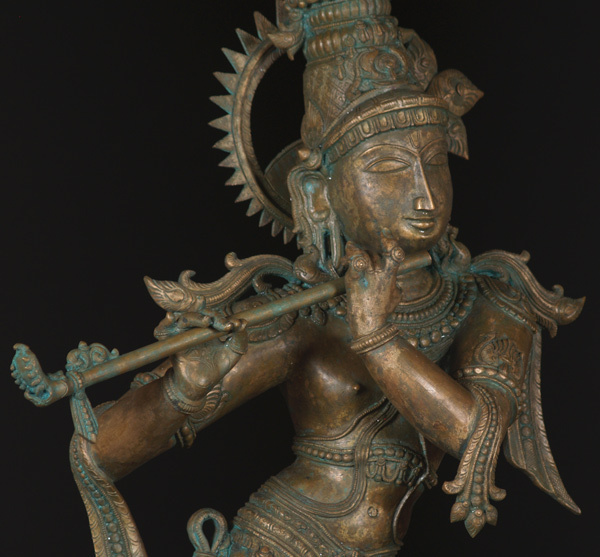 Your recording of the flute or mridangam or violin will sound like a 'dead and artificial' ( I picked the words as being the opposites of 'live' and 'natural'; but it pretty much illustrates the result) instrument. But then listen some more and see if there is something you like in that recording. When you listen a lot and do some mental comparisons, you will come to realize certain things. Your recordings--all of them-- sound as if they are 'covered by a veil'. This 'veil' is the loss of fidelity brought in by the imperfections primarily of the cheap mic, the reverberant small room etc. But overall, the digital recording process of the computer software preserves without much loss most of the things that have been fed into the system. It is also advised that you should attempt to go to venues where somebody is singing and playing live. Not 'live' rock shows or other such 'modern' shows where high-powered amplification is the rule rather than the exception. But to places where one or two people sit around with their instruments and 'jam'. If you visit a village, especially a north-Indian village, opportunities galore for experiencing 'live' musical evenings. I feel this aspect of listening to 'live sound' under various settings, becoming familiar with a range of voices of all sorts and shades and colours, is important for the aspiring hi-fi enthusiast. One wonderful thing it does is to set you free from “notions of bass and treble” and such other often dubious and confusing terminology, and lets you learn to assimilate what could be termed the 'aural balance' of a natural setting. Now the 'trap' has been baited with tasty morsels. You have heard your friend play and sing in your own room, and, honestly, it has been an 'ear-opening' experience. At first it sounds like it is nothing great, but on a second or third 'listen' somehow you 'grow close' to the sound. For me the sound of the flute as it 'filtered through' the fingers of my young friend and neighbour wove a mystical curtain of sound. Not ‘impressive’ in a big way, but very subdued and soft, and it was vibrant with 'life'. When I played back my sound file from the computer hard disk, it didnt at all sound like my friend did just a few minutes back. I could/would never in my life accept that as a 'stand-in' for the 'real thing', I vowed. Most of you too will go through that experience when you try it. But then tell yourself, just because a well-known friend has put on a 'veil' does it mean that you cant recognize him/her? No way. Some of the features might be veiled, but it is the 'genuine' person all right. This is something like it. Forget about stereo and mono and all that. I assume most of you have your "2.1 speakers" plugged into your computer. That is the usual left and right channels for stereo and a 'point one' channel for the lower octaves or the bassy sounds. We will examine the theory behind such systems and their desirability etc later. Now put those two 'satellites' (such 2.1 systems are also called 'sub-woofer/satellite’ systems, or sub-sat for short. Again, terms like 'sub-woofer' need to be examined in detail--later.) on both sides of your computer monitor, and preferably away from walls and corners. Place the 'sub' on a shelf where it is easy for you to adjust its 'level' control. Forget that you know the meaning of 'bass' and start the playback of your file. Rotate the sub's level control all the way to zero and listen. If it is a flute or violin or bulbul, you wont miss MUCH. Well, if your recording is that of a drum like the mridangam or a heavy male voice, you will perceive that the reproduction is somewhat 'thin'. It lacks the 'foundation' of the lower notes. Now SLOWLY advance the level control so that you think you could sense the recording slowly getting "nearer to the original sound" you had heard in your room--let the 'veil' be there for the time being. Stop right there. Now play back some of those other files, including the banging sessions. Spending an hour or so in such an exercise will leave you with a totally different notion about the 'balance' of what you hear. Now sit back and listen, move yourself forward and back, adjust the volume control for a comfortable level that 'approaches' the level of sound your friend produced playing live. Continue to listen and listen...and listen. LISTEN... and you will HEAR ! Very slowly you will love hearing your recording. You will soon be hearing many nuances that you never even suspected were there in the recording! And the sessions will have a guaranteed effect-- it will leave you 'aching' for the 'real thing'...your friend and his flute, time and again. Those who have a good pair of stereo microphones and a preamp for plugging them in, may try feeding the signal to the computer and recording it again. Dont aim to achieve 'stereo' or anything like that. Just place the mics about a couple of feet apart so they catch the 'direct sound' and not the reflections that swamp the room. If you have an old cassette recorder, you can put it into record and pause, and feed its output via a cable to the computer and record that. This newer recording will sound far better than your earlier one. Again, play with the reproduction levels and try to achieve a sound as close to the live sound as possible. The live sound as you heard it in your room is the 'touchstone' upon which you judge the reproduction. You will be surprised how close you can get to the 'real sound' though the 'veil' will be there. Truly it will be, as I said earlier, an 'ear-opening' experience, and we need that if we are to 'judge' what is ‘good’ and what is not. How many times have you noticed cars driving by with a strange 'thump' emanating from them? Those are the 'subs'. Even ‘respectable’ speaker makers market them with the tagline (yes, I recently saw that in an ad) “get punched by our subs”, with accompanying picture of a ‘sub’ driver unit and a boxing glove! Have you ever asked the important question, are those subs contributing only 'their percentage' of the total sound, or are they brashly 'dominating' the 'balance'. No question, they ARE. Last question: Then will that be music? If you are crazy to put a nut inside your car with a drum set and let him bang away to his heart's content and then try to reproduce similar levels with your subs and the rest of the equipment, you might be able to claim that it IS music. But that is the time for you to ask yourself again: Does that system make it easy to identify the sound of different drums? Or do they all sound the same with an overwhelming, thumping 'bass line'? Honest answers are not very pleasant. So too is truth! The reproduction of music is dangerous territory with all sorts of difficulties lurking round the corner to trap you if you are not careful. But it is not often your ears will lie to you. Listen to them, and dont hurt them with loud thumps that masquerade as music. If music was just thumps, man wouldn’t have invented all those other instruments! And, come to think of it, man's ingenuity has given us a vast range of drums! And if you listen closely and carefully they will speak their language to you. The art lies in listening! So remember, keep your ears open, and your brain switched on!